I wonder how many folks realize the significance of your Eldo at a show. 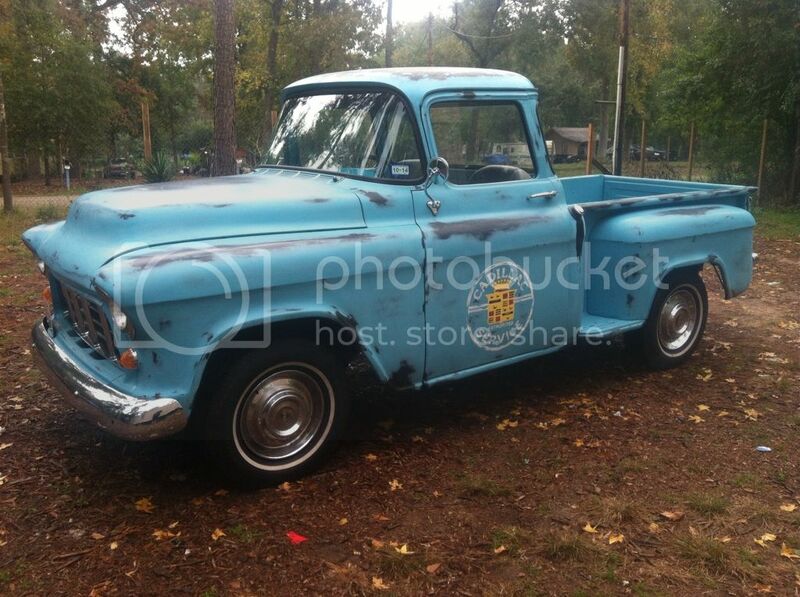 Now for sale on ebay Full resto/mod made to look worn and old. Any more info on the 1956 Coupe DeVille, Rocky Mountain High? That could possibly be my car! Looks like Colorado Springs to me, with Pikes Peak in the background. Curious Johnny wants to know. Cadillac Standard of The World! 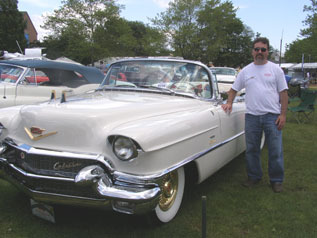 Here's my picture of the day..a beautiful '56 Eldorado Biarritz at the 2012 Greenwich Councours d'Elegance. Just happened to be poking around looking at Cadillac pics and came across this handsome Caddy, and handsome fella.